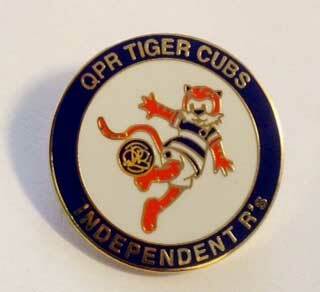 The 21st Indy R’s badge is now available and is a designated fundraiser for the QPR Tiger Cubs. I am asking for £5.00 per badge in order to raise £500.00 for them. Also available are a very limited number of a few of the previous issues. Tony Ingham: A New Suite should fit Mr Rangers! What a fantastic thing you’re doing here. I raised a £1000 for the Tiger Cubs back in 2015 running the London marathon and was involved in the Tiger cubs walk later that year. It’s a fantastic cause and one we should be all proud that our club is associated with. I would love to have one of these badges if possible, but I moved to Australia in August last year and I’m currently living in Perth. Would you consider sending overseas? Of course I would cover any postage costs and can pay via PayPal or bank transfer etc.